The Archdiocese of Omaha announced Friday it is beginning the next step of an investigation of an Omaha priest accused of sexually abusing minors. The complaint was brought against Rev. Alfred Salanitro more than a year ago. According to Deacon Timothy McNeil, chancellor of the Archdiocese of Omaha, the Congregation for the Doctrine of the Faith reviewed the findings of the archdiocese's investigation and advised Archbishop George Lucas to resolve the matter through an administrative process. That process consists of two canon lawyers who live outside of the Archdiocese of Omaha and will assist Lucas in determining Rev. Salanitro's innocence or guilt. McNeil said if Salanitro is found innocent, the archdiocese will use every means available to publicly make his innocence known. If he is found guilty, an appropriate penalty will be applied, but details were not given. In December 2011, Lucas received a complaint against the 53-year-old Salanitro, alleging that he had committed an act of sexual abuse of a minor from 1991-1994. Salanitro has denied the accusation. Following an initial review of the allegation, Lucas found that the complaint carried with it semblance of truth. Lucas then conducted a preliminary investigation. After having weighed the evidence gathered during the investigation and consulting the Archdiocesan Review Board, it was determined the evidence met the church's minimum standard for a credible allegation. The case was forwarded to the CDF last February. There is no estimate how long the administrative process will take. The archdiocese will share the results once they are complete. 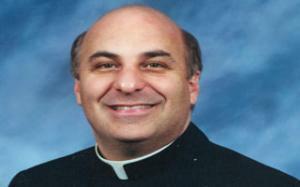 Salanitro was pastor of St. Bernadette Parish in Bellevue when the accusation was made. He has been on leave since the complaint was filed with the archdiocese. McNeil said that Archbishop Lucas has sent a letter to St. Bernadette parishioners informing them of the CDF’s response.